How important is Local SEO? In this post, you’ll learn more tips on how to improve your local SEO. After reading this article, I’m sure that you’ll start improving local SEO for your own websites. Thanks to Greg Gifford for sharing this article. Read on. If you work in the SEO industry, you need to understand how to do Local SEO. Seriously.. I’m not kidding here… If you’re sitting there thinking “Um, no… not really” – then you’re exactly the person I’m writing this post for. If you haven’t already, I can pretty much guarantee you that at some point in your SEO career, you’re going to do some SEO for a business that has a physical storefront. BOOM – that means Local SEO. Sure, you’ve still got to do all the traditional SEO things that you do every day for all your clients, but when you’re talking about a physical location, Local SEO is absolutely necessary. If you’re thinking “But Greg – If I do all the SEO stuff I’m supposed to do, I’ll still get the site to rank organically…” – you still aren’t getting it. If you add some Local SEO to the mix, you can show up in organic results AND the map pack (clients love that, so you should too). Plus, showing up in the map pack or the Local Carousel is incredibly important when a business is trying to pull in customers from the immediate area. Also, the map pack results show up ABOVE the organic results on mobile, and we all know that mobile is blowing up. So if you’ve never paid any attention to Local SEO, it’s time to start lifting, bro. I’m going to give you a simple workout plan to help you beef up your Local SEO muscles, and with a little practice, you’ll be playing with the big boys in no time. You should already know how to optimize a website, and if you don’t, there are a ton of awesome posts here on Moz. When you’re working on your optimizations, there are some important elements that you need to concentrate on for Local SEO. These elements are extremely important on your landing pages for your Google Plus Local listings (more commonly known now as “Google My Business Places Plus Local For Business”). If your business has multiple locations, you should have a unique location landing page for each Google Plus Local listing. you’re dealing with a single location, then we’re talking about your home page – but these elements should also be locally optimized on product and services pages. City and state in the title tag. Arguably one of the most important places to include city/state information. We’ve seen many small businesses jump up in local rankings from this alone. City and state in H1 heading. Hold on, don’t interrupt. I know it doesn’t HAVE to be an H1 heading… So whatever heading you’ve got on the page, it’s important to also have your city/state info included. City and state in URL. Obviously, this can’t happen on your home page, but on other pages, including the city/state info in the URL can be a powerful signal of local relevance. City and state in content. Clearly, it’s important to include your city/state info in your content. City and state in alt tags. We see far too many local business sites that don’t even use alt text on their images. Make sure you’ve got alt text on all your images, and make sure that you’re including city/state info in your alt text. City and state in meta description. Yes, we all know that the meta description doesn’t play into the ranking algorithm… but including city/state info can really boost clickthrough rate for local search results. Include an embedded Google Map. Including an embedded Google Map is important too, but PLEASE make sure you do it correctly. You don’t want to just embed a map that points to your address… You want to embed a map that points to your actual Google Plus Local listing. Most of the Local SEOs who really live and breathe local agree that citations aren’t the amazing powerful weapon that they used to be… but that doesn’t mean they’re not still incredibly important. If you don’t know what a citation is, it’s commonly referred to as NAP information in Local SEO circles – Name, Address, and Phone number. Google expects local businesses to have their NAP information on certain other websites (Yelp, social media sites, etc. ), so if you don’t have citations on the important sites, or your citation information is incorrect, it can really hurt how your business is ranking. While they’re not the silver bullet for rankings that they used to be, they’re still an important signal for local relevancy. 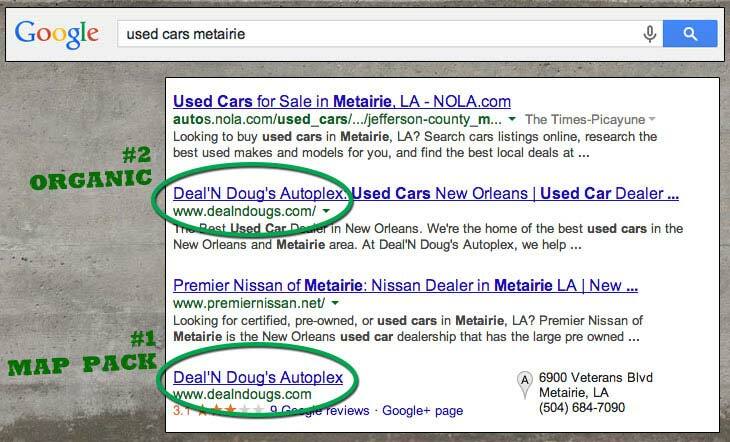 Here’s may favorite example… We were hired to do the SEO for a car dealership just outside of New Orleans last fall. The dealer spent tons of money on radio and TV ads and was very well known in the local area, but he didn’t understand why he wasn’t showing up in local searches. We did a quick citation evaluation, and sure enough, he had all of those misspelled names floating around in different citations. He also had several citations for “Dealin’ Doug’s Autoplex” – which is grammatically how you’d expect it to be spelled. Run an initial check with Moz Local. No, I wasn’t paid to say that (but if Moz wants to hook me up with some extra bacon at MozCon to thank me, I wouldn’t turn it down… cough, cough). We start with a quick check on Moz Local to see the current status of a client’s citations. It’s a great way to see a brief overview of how their NAP information is distributed online. Fix any issues found in Moz Local. It’s got all those handy links, why not use them? If there are missing citations, go get them. If you’ve got incomplete listings, follow the tips to update them. Run a citation search with Whitespark. Whitespark’s Local Citation Finder is awesome (it’s our favorite citation tool). You need to run two reports: one to check your current citations, and another to find citation opportunities. Whitespark is simply the best around for finding citation opportunities. Set up a campaign in BrightLocal. Yes, it’s a bit redundant to use BrightLocal and Whitespark at the same time… but we really love their interface. You get 3 tabs of info: active citations, pending citations, and potential citations. On each citation, you can enter specific notes, which really helps you keep track of your efforts over time. When you add in new citations from your Whitespark list, you can add them in to your “pending citations” tab. When you re-run the report later, any pending citations that have become active will move over into the active list. Keep pumping reps. Over time, you’ll add more citations, but you should always use Whitespark to check for new opportunities AND any incorrect NAP info that might appear. Keep your notes in BrightLocal so you can keep everything straight. Set up a review page on your site. We always set up a page at domain.com/reviews for every client. It’s easy for any employees to remember, and it’s a simple URL to tell customers about. 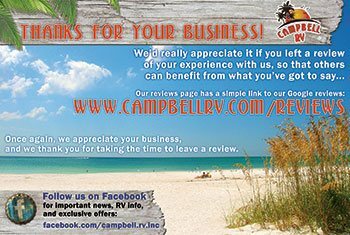 You don’t want to ask for reviews and then expect that your customers will be able to search for you on Google, navigate to your Google Plus Local page, and find the right link to click to leave a review.Include simple instructions for leaving a review on the page, along with a direct link to the location’s Google Plus Local page. It’s also helpful to let customers know that they’ll need a Google account to leave a review (and instructions for setting up a Google account if they don’t have one). You should always focus on Google reviews until a business gets at least 10 reviews. Once you’ve got 10 reviews on Google, you can offer other options and let customers choose the review site that they’re most comfortable with.PRO TIP: For Google reviews, include this string at the end of your Google Plus Local link: ?hl=en&review=1. Now, when customers click the link, the review window will automatically pop up when they land on your Google Plus Local page (so they don’t have to find the link!). There you have it! If you follow these simply Local SEO workout tips, you’ll build your Local SEO muscle in no time. You’ll be able to provide better results to your clients, which means they’ll be happier… and happier clients means more long-term business. Everyone wins!